Hackberry Trees are one of my greatest host plants in the butterfly garden, but they only have one problem. They get huge! According to the Mo. Bot. Garden they can get 60 foot tall and have a spread of 60 foot. That’s much too large for my small back yard. The solution I’ve found is a constant use of the pruners to keep it to a 6 foot height and a dwarfish spread. It has worked well for the past few years and the tree doesn’t seem to mind the trimming. When the limbs seem to be getting a bit too long, I snap them back and lay them over on the tree rather than immediately cutting them off. I do this to allow any larvae to move to a new branch. Note – using this tactic allows you to watch the butterlies lay the eggs on the tree rather than having to use binoculars to see any action. 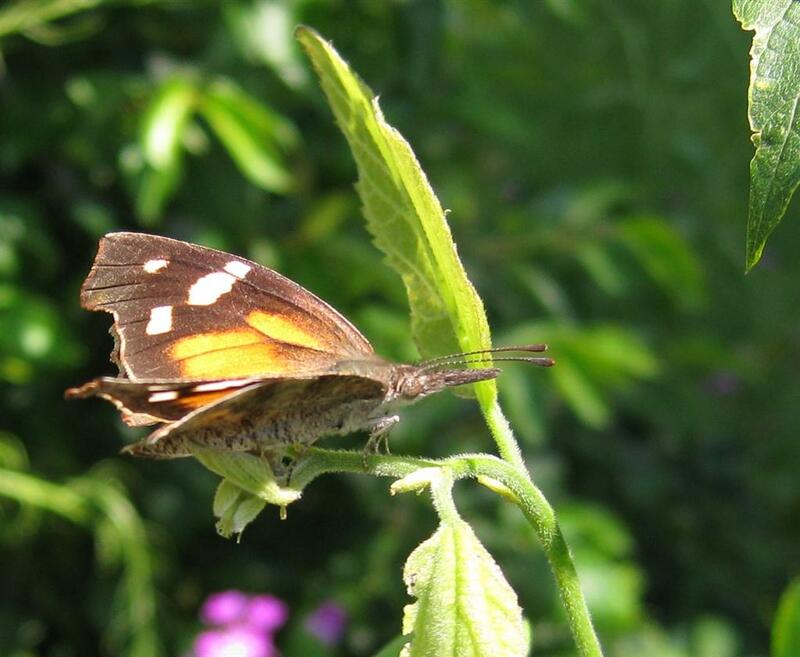 If you want to attract American Snout butterflies to your garden, make sure you plant a Hackberry tree. Read my note about keeping them in bush form rather than tree form.